‘La Petite Boulangerie’, located at No. 9, Camden Street, opened its doors on Monday July 10th, serving delicious sweet and savoury creations, including much-loved Cuisine de France favourites, and a new, innovative menu of delectable delights. This unique twist on a typical ‘café Francais’ runs until 22nd July, serving a high-quality, select menu of delicious morning and afternoon treats daily from 8am – 3pm, with the spotlight on the highly-anticipated ‘Croffle’, which will be revealed upon launch. The Croffle, which has been hailed as the hero product of the café menu, is a marriage of the classic rich, buttery French croissant, with the unique texture of a modern, sumptuous waffle. Created in collaboration with renowned pastry chef Louise Lennox, the most hotly anticipated variation is the Avocado and sun blushed tomato Croffle, with a feta drizzle, gremolata crumb and chopped toasted hazelnuts. This, along with the full menu outlined below, will be available each day at La Petite Boulangerie, with a variety of flavour fillings to suit all tastes. 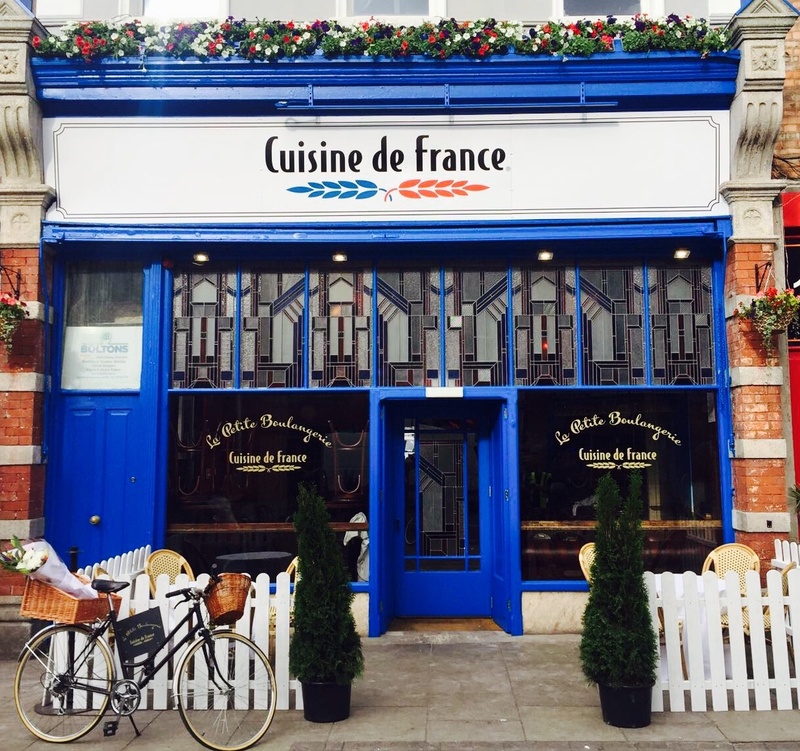 Commenting on the announcement of the pop-up, Louise Lennox said, “As a household name and firm favourite amongst Irish people, it’s exciting to see Cuisine de France bringing a new twist to their much-loved classics. I’m delighted to be involved in La Petite Boulangerie, it’s wonderful to see a café coming to Dublin that is dedicated to my two passions, French pastry and culinary innovation. She continued, “Cuisine de France has a true understanding of the relationship between Irish people and French food, and you’ll see the menu embraces the best of both worlds, in particular the Croffle options which include some of our favourite fillings – black pudding, pulled pork, avocado and cheese, as well as sumptuous Nutella in the sweet variety. The menu and café overall show true innovation and prove that after years of inspiring chefs worldwide, French cuisine still paves the way for exciting developments, with Cuisine de France making authentic flavours attainable while pushing the boundaries of creativity. La Petite Boulangerie will celebrate all things French throughout its duration, with special celebrations on Friday 14th July for Bastille Day, the French national holiday. Customers are invited to join the festivities, absorbing the atmosphere and embracing French culture with a special menu addition to be enjoyed for Bastille Day only, alongside in-store entertainment and activities. Take a look at the ‘Le Menu’ for ‘La Petite Boulangerie’ by clicking below.